turn it into a high quality video. 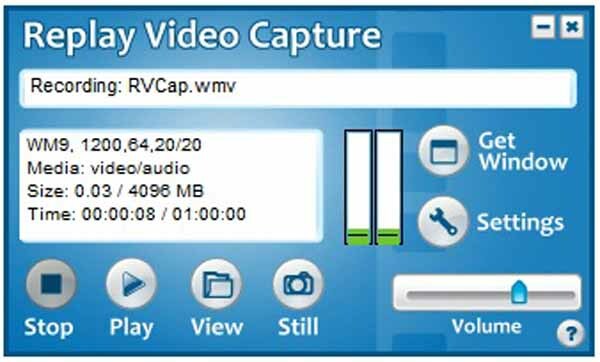 Replay Video Capture software is the ONLY screen capture application of it’s kind that allows you to screen capture videos using Background Mode. Go ahead and hide the video, or cover it with another window. Replay Video Capture will continue capturing without disrupting your recording. Replay Video Capture is designed for the highest quality video output. You can record at up to 50 frames per second. Try it and see the quality for yourself.